Kaya Skin Clinic Reviews: Why Is Chemical Peel A Good Treatment For Acne Scars? Why Is Chemical Peel A Good Treatment For Acne Scars? Every person suffers from acne breakouts at least once in a lifetime. Though acne subsides within a week, the scars it leaves behind can affect the self-esteem and confidence. A chemical peel is a good option since it works by exfoliating the skin, leading to the removal of the affected skin and blemishes. Acne affects people of all age groups, mostly teenagers. Though short-lived, acne can leave a permanent mark impacting the texture and appearance of the skin. The scars could range from pits in the skin to elevated scar tissue, affecting the self-esteem and confidence of the person. For scars of lesser intensity and color, over-the-counter creams and spot correctors do work well. However, for deeper and more prominent scars, chemical peels do come as a savior. 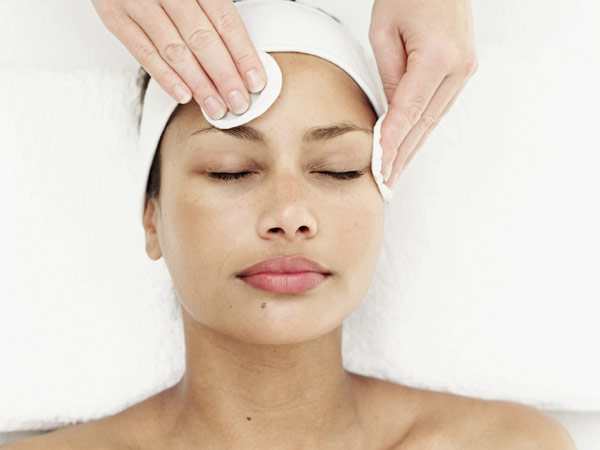 A chemical peel is a kind of gel applied onto the skin, that causes the skin to exfoliate. This process eventually peels off the top-most layer of the skin, showing up the inside, smoother and fresher layer. This layer is lighter and has lighter or no blemishes. The chemicals usually used are Alpha hydroxy acid (AHA) and Beta hydroxy acid (BHA) and are proven to have very little side-effects on the skin. The type of treatment involved depends on the intensity of the scar. The three major classifications of chemical peels are - superficial feel, medium peel, and deep peel. The superficial peel exfoliates only the epidermal layer of the skin. This best works when you want gently exfoliate the skin and address the faint blemishes and freckles. Using superficial peel evens out the skin tone. It is made up of gentle acids which might cause mild stinging and burning sensation during the application. All anti-aging and age-corrector therapies use a medium peel to reduce fine lines, wrinkles, long-term spots, and blemishes. This peel works on both the outer and the middle layer of the skin, thereby bringing in slightly deeper exfoliation. The concentration of the acid used is slightly higher than that used in superficial peel and stinging might be considerably more too. A deep peel, as the name suggests, penetrates deeper into the middle layer of the skin. It works well in reducing wrinkles, freckles, discoloration, and shallow scars. The changes after a therapy using this peel are greatly noticeable. Due to strong concentrations of the acid used in this peel, it might cause burning and stinging more than the medium peel. While superficial and medium peel can be done multiple times, the deeper peel can be done only once, owing to the chemicals and process involved. Adults of all age group can opt for the chemical peel. However, due to the chemicals used, pregnant women and breastfeeding women are refrained from undergoing such treatments. People with eczema, psoriasis, dermatitis, and rosacea should also avoid treatment. You shouldn’t opt for the peel in case your skin is broken or cut. In case one chooses to get the treatment during these phases, the results would be permanent skin damage, discoloration, and scarring. At Kaya Clinic, we understand the needs of your skin and there is an unique solution to each of the problems. Kaya’s Black Peel treatment is one of them, which makes your skin look clear and fresh. The advanced care kit further assists you with maintaining a daily skin-care regimen for managing the acne and acne scars better. Made with black vinegar, minerals, and high concentration of amino acids, the black peel treatment helps exfoliate the outer layer of the skin and reduce pimple marks. Though a superficial peel, it works well to reduce acne marks, blackheads, whiteheads, pustules, nodules, cysts, wrinkles, and fine lines. The advanced care kit is perfect for people who have acne prone skin. Following the four steps of a perfect skincare routine of cleansing, exfoliating, spot correction, and moisturizing, this kit best suits someone who is busy and wants exfoliation on the go.